“If we are successful we will be able to eradicate the virus and save humanity from extinction, but there’s one slight problem.” Martian… Cockroaches. What a premise Tachibana Kenichi, what a premise indeed. 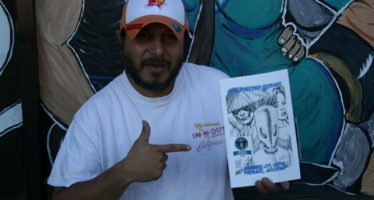 Having not been familiar with his work, or the series at all, I went in blind and was pleasantly surprised. The story here is nothing to sneeze at. There is a mysterious virus titled the Alien Engine (A.E) that originated in Mars after a plan to alter the atmosphere to allow human life to exist. The plan for this involved algae and cockroaches of all things. 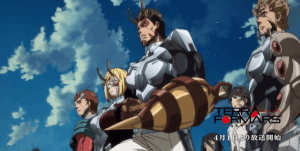 Terra Formars follows 6 groups of modified researchers, each representing their various countries in the fight to save the human race. The story goes deep in the rabbit hole when issues like government sabotage, human experimentation, and a lot of gory action scenes is introduced into the mix. With twists like that scattered in the plot, it brings together a pretty brilliant story. Animated by Liden Films who have tackled bigger titles such as Berzerk, and some more obscure ones in the west such as Miss monochrome, they have a clever way of using CG in some lighter animated sequences. Liden films are masters when it comes to making characters or objects feel dynamic while saving costs and blending well. This style does have its drawbacks though. When it’s bad, it’s really bad. Characters have no-face syndrome, or an object just looks odd in comparison to the 2D more traditional art. They did a fantastic job of conveying emotions in the way Michelle always has a little smirk before she fights to show the characters appreciation for a good fight. Another good example is when the transition animations with the various Bugs to enforce a feeling of being skeeved out by the roaches. The backgrounds in the first quarter of season one are kind of uninteresting or dead looking, this is made up for in the final half where things ramp up as does the animation. 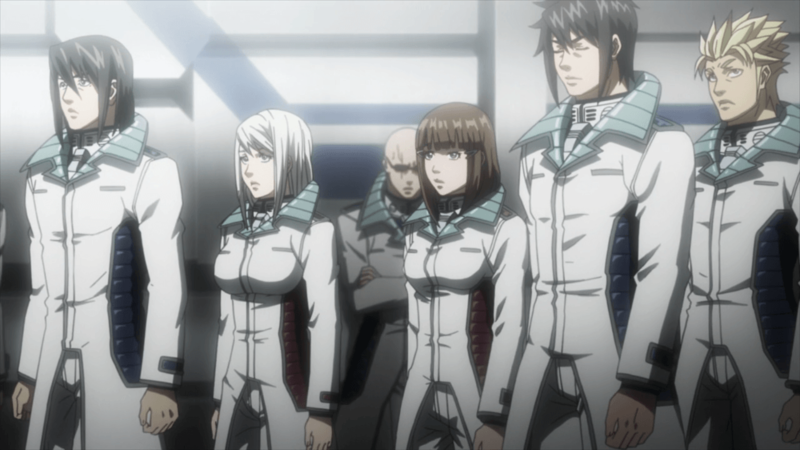 There are a lot of characters that the viewer will be introduced to in Terra Formars. Tachibana and company does a good job of spending enough time with all of the characters to establish a connection with them. However, with this many characters, the series falls in the trap when it comes to telling characters’ environmental backstories. There is quite a few moments later in the season where they give last minute expositions to explain why characters act the way they do or how certain abilities function. This can detract from the viewer’s experience. It takes you out of the powerful moments that can be building up to be suddenly shunted into a flashback. Terra Formars does an excellent job of giving you a slow burn before the raging fires despite the apparent pacing issues. Dropping subtle hints in dialogue and animations about what’s to come, the characters each are enhanced with different abilities based on different lifeforms from earth. My personal favorite, Marco, is an arachnid huntsman spider so far in the season. To the odd nonsensical abilities of the Malaysian blast ant for Michelle. Boy did they do their research on detailed anatomy and facts about types of insects, animals, and plant life here on earth! The Voice acting here is strong, not only in the Japanese dub, but the English as well. Character personalities flow off the screen and the narrator does a good job of enveloping you in the world they created. Some extras can be over the top but it’s nothing that would pull you out of the experience. There doesn’t seem to be too big of a difference between the two versions since character dialogue is pretty much a direct translation. The only subtle changes is in the sentence structure. Sound design comes together well with the insect noises adding to that icky feeling and the clever use of some classical peices here and there. The anime progressed well over the course of the season in animation quality, sound design, and (best of all) action sequences! Animations from the effect that appears on the character’s faces when they use their abilities, to the gruesome beatdowns that go down in the show Have been improved upon. The subtlety from the earlier episodes come to fruition making it well worth more than just one sit through. 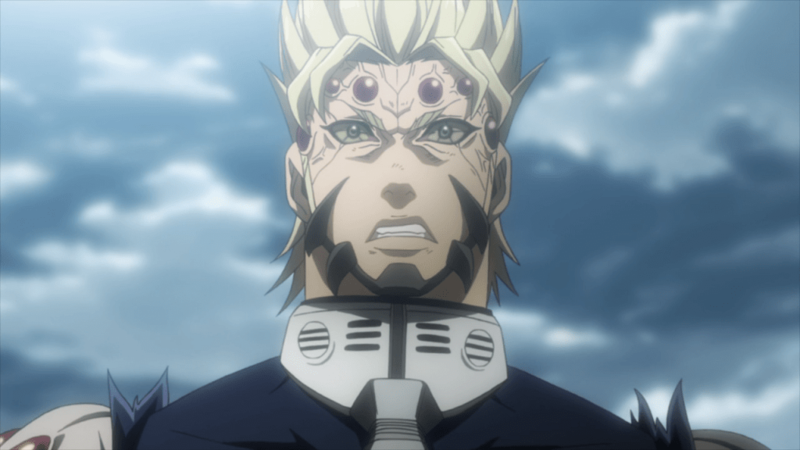 In the end, when fate hangs in the balance and the Terra Formars attack, I suggest you stand and fight! While you’re at it pick up this great anime, I’m looking forward to catching up to season 2. It was a fun series to stroll through. the animation was a bit spotty in some areas, but that is more than made up for in the excellent sound design and voice casting. 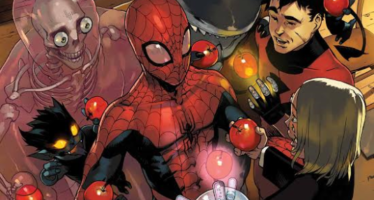 I can't wait to see more! 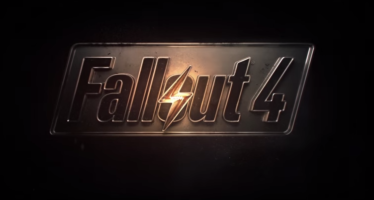 Fallout Is Back With An Amazing Trailer!